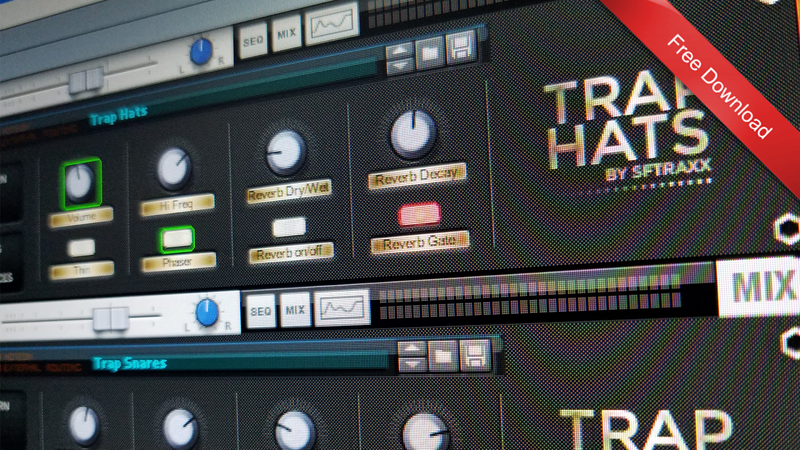 Putting together trap drums in Reason can be kinda rough, but no worries, with these patches you'll be bangin' out trap HITTERS in SECONDS! These patches basically give you Note Repeat in Reason and are mapped in a easy and straight forward way. They start at key C2 on your keyboard and the time division changes as you move up the keys. The time divisions are as follows. 1/8, 1/8th triplet, 1/16, 1/16 triplet, 1/32, 1/64 and 1/128th. Also, within these patches you have a few parameters you can control. Things like note volume, Reverb, tone and Pitch can all be adjusted from the rotary controls on the Combinator. Also, while recording, any knob movements and button presses made on the Combinator will be recorded and played back as automation which really allows you to get creative with your arrangement. As you watch the video below you'll see what I'm talking about. All of the controls with green outlines are controls that have automation. Now lets talk about the samples. Since the samples that are being used in the patches are stock Factory samples, there is no need to download any samples to use this. Assuming you have Reason 5 or newer you should have these sounds already in your Reason factory sounds folder. So once you load the patches up you'll be good 2 go! Also, If you want to replace the samples with your own, you can easily do so by pressing the "show devices" button on the Combinator and replacing the samples in the Redrum with your own. These patches are free of charge and can be downloaded instantly using the link below. If you have any questions or just want to drop a line feel free to hit me up in the comments section below. Are u kidding´? This is awesome!! !